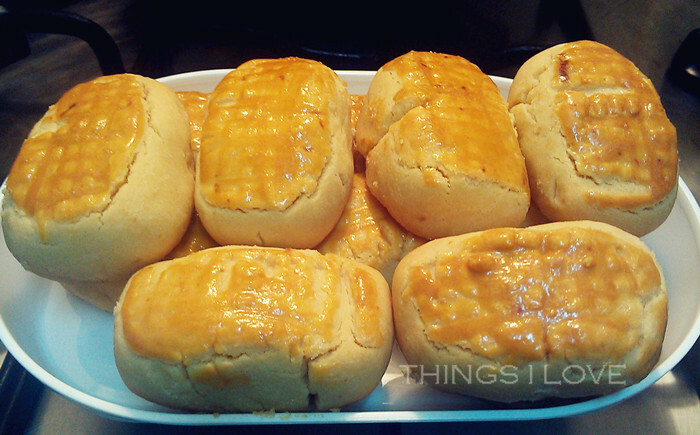 It’s been a long time since I did some baking but I’ve been having a major craving for pineapple tarts for a while now. 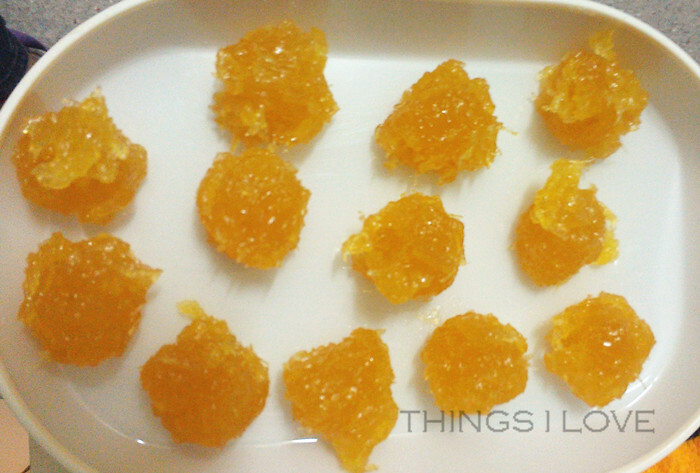 Unfortunately, I don't know of any places in Melbourne that sells them so I finally succumbed to my cravings and made these pineapple tarts myself. Pineapple tarts are traditionally a Singaporean/ Chinese Malaysian sweet that is made during Chinese New Year to share with family and friends and they are equally a farourite amongst the young and the old. In fact, the sweet juicy pineapple jam morsel wrapped in a light crumbly shortcake pastry creates the perfect treat any time of the year. What’s more, they can be eaten in one mouthful so you can indulge in one than one! The only thing that stops me from making them more regularly is the time involved to make everything from scratch – it’s pretty darn time consuming. That’s why I like to make extra pineapple jam and store them in the fridge so I have the filling on standby whenever I get craving (they store up to 4 weeks in the chiller compartment). So if you are interested, I’ll share with you my version of the recipe which I modified from Rasa Malaysia (check her site out - she is one of my all time favourite Asian food bloggers). Two 825gcans pineapples slices in natural juices (lightly drained) – you can buy the pieces as well. I use the Golden Circle brand. 10 g of Copha (vegetable shortening) – optional but adding this gives a crumblier pastry. If you don’t use shortening just add the extra amount in butter. Add crushed pineapples with sugar in a saucepan over high heat and cook till there is no liquids to be seen, stirring occasionally. Most of the liquid would have evaporated by now. (note 1: roughly chop the pineapple slice and use a potato masher to crush it up during cooking stage - it's more work but as I hate cleaning and didn’t want to wash another piece of equipment, it works better for me).Turn the heat down to medium-low heat and continue to stir occasionally until the mixture becomes slightly sticky. Mix in the cornstarch water mixture to thicken it and stir a few more times. By now your pineapple jam should be a thick paste with a golden yellow colour. Set aside to cool down (you can leave this in the fridge to cool faster). The make the pastry, sift in all the dry ingredient into a large mixing bowl. In a separate bowl, mix in the butter, shortening, vanilla essence and use a beater to cream it until it is light yellow and fluffy in texture. Beat in the egg yolks until it is well combined. Mix in the flour mixture until it is well combined and you have a soft dough. 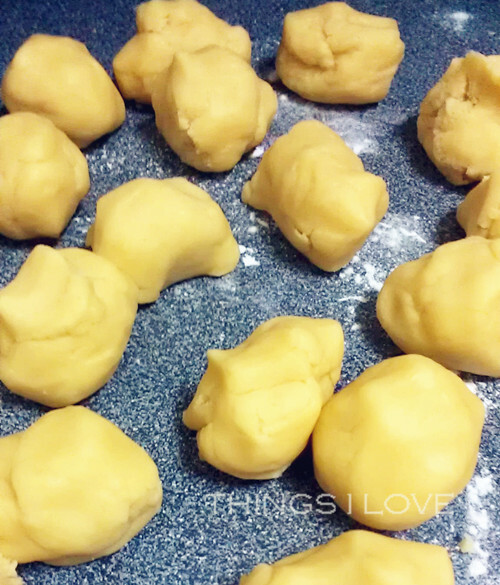 Cut the dough up into 30 pieces. Tip: I use my kitchen scale to divide the dough in half, then in half again etc, until I get all even sized pieces. 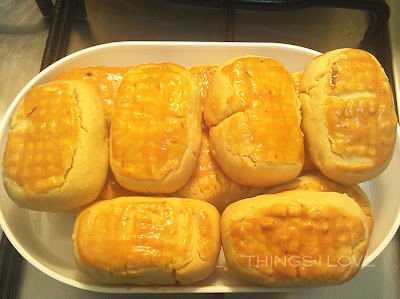 Do the same for the pineapple paste so you have equal parts to fill each pastry. Roll the pastry dough out on the palm of your hand and put in a portion of the pineapple paste before folding up the edges to form a ball. Roll in your hands some more to get a log shape. Continue with remaining pastry. Use a fork to press on top of the pastry to form cross-hack patterns. Mix the extra egg yolk with a tablespoon of water to create an egg wash to brush on top of the tarts. Place pineapple tarts into a baking tray in the middle rack of the oven and bake for 20-25 minutes until light golden brown. Let cool before transferring them to prevent pastry from crumbling. 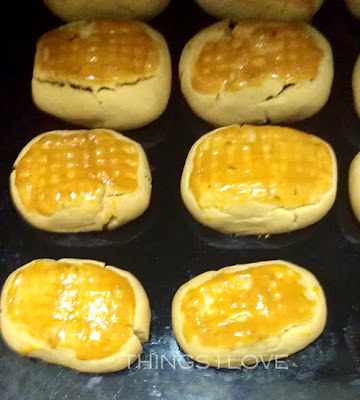 These tarts are best enjoyed the next day as the flavours are more developed with a nice cup of tea. And you can’t stop at one once you start. They keep well for up to a week but I bet they won't last that long! I hope you enjoy this recipe as much as I had making and eating them. Thanks for reading. Um... YUM! Make me some!! !